Over the years many people have come to fear avocados. I think this largely comes from the weight loss/ low fat industry pushing us not to eat fat because the common thinking is that we'll end up getting fat. 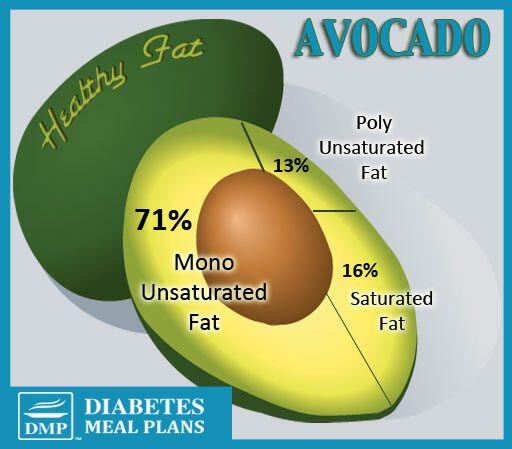 Now I hear no end of people saying they avoid avocado, or left questioning is avocado good for diabetics? Well I hope this info helps to clear that up for you because avocado is one of the very best and healthiest foods we can all eat, diabetic or not. 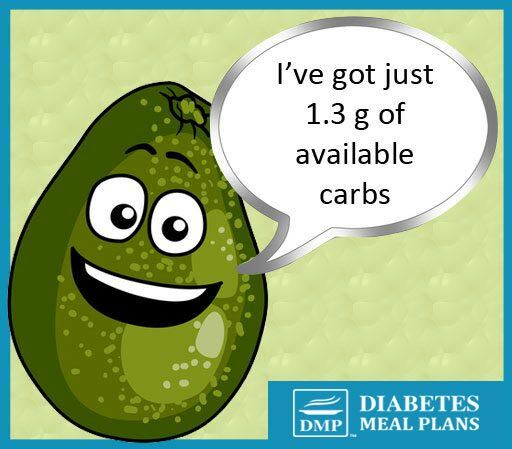 So Is Avocado Good For Diabetics? As you most likely know, as a diabetic the macronutrient you most have to be concerned about is carbohydrates. 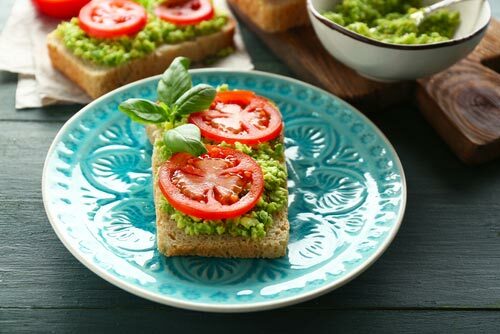 But as dietitian Aglaee Jacob points out: “Avocado contains very small amounts of available carbohydrates and are not problematic for diabetes control, even if you eat a whole, large avocado”. What she means by available carbohydrates is that fiber does not affect blood sugar levels, only starch and sugar does. So when you subtract the amount of fiber in a food you are left with the net carbs, which is the net effect of that carbohydrate food. Sometimes it seems like a food has quite a bit of carbohydrate but once you minus the fiber you're left with very low ‘available carbohydrate content', just like the avocado in this instance. The fat found in avocado is 71% monounsaturated fat, 13% polyunsaturated, and 16% saturated fat. Now this all sounds great right?! The average person eats 1/2 an avocado at one sitting and that's perfectly fine. If you were to eat a whole avocado that's fine too. Here at Diabetes Meal Plans we focus on helping you reduce carbohydrates and in order to feel fuller longer it's necessary to increase your fat intake. So one great way to do that is to increase your monounsaturated fat intake by eating avocados. That means avocado is the perfect inclusion in your every day menu. 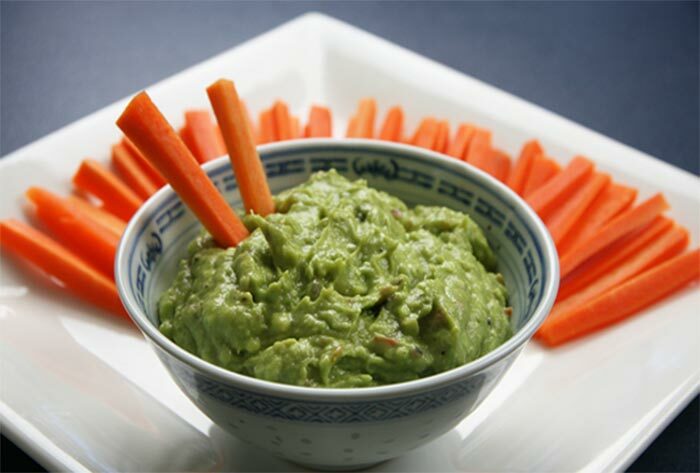 Avocado makes a great addition to many meals and can also be the main feature or snack. Here are some ideas for you, plus one of my favorite recipes. This is a family favorite in my house that has been passed onto my daughter, my sister, and many friends, so I hope you enjoy it as much as we do. 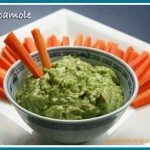 It's super simple to make and hands down beats any guacomole you'll ever buy from the store.